For the past 15 years, Paige has set a new standard for American-made, quality-constructed denim. Both their women’s and men’s lines are supported by an in-house design team dedicated to making sure each fit and style does what we need denim to do: hold up to everything life throws at it. 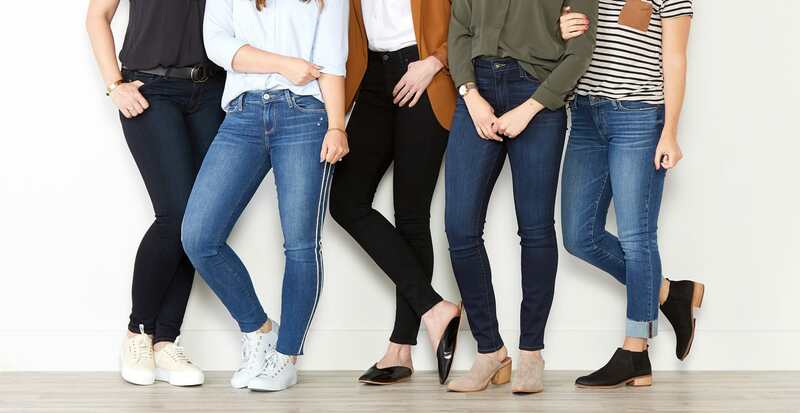 Because if you’re anything like us, your jeans go through the wringer, making them some of the most cherished pieces of clothing you can have in your closet. Your good ol’ fashioned blue jeans are updated with performance-fiber technology for a soft, fits-like-a-glove feel. Created in classic styles like skinny, straight, boyfriend, and bootcut, this is the bread and butter of the Paige brand. We love that sizing begins at a 23 and goes up to a 34, a wide range that gives plenty of women the right fit. Paige Adams-Geller was a denim fit model before she founded Paige, so if anyone knows what should go into a pair of jeans—it’s her. Overalls, skirts, shorts, jackets—denim is incredibly versatile, which is why we love wearing it as many ways as we can. If you already have a solid stockpile of traditional denim, try adding a few of these classic-with-a-twist options for fall. We love the knotted belt details, tuxedo stripes, and seasonal colors this brand incorporates into their denim collection each season to breathe new life into our wardrobes. Paige launched with only denim on its label, but has since grown into a full-blown lifestyle brand. 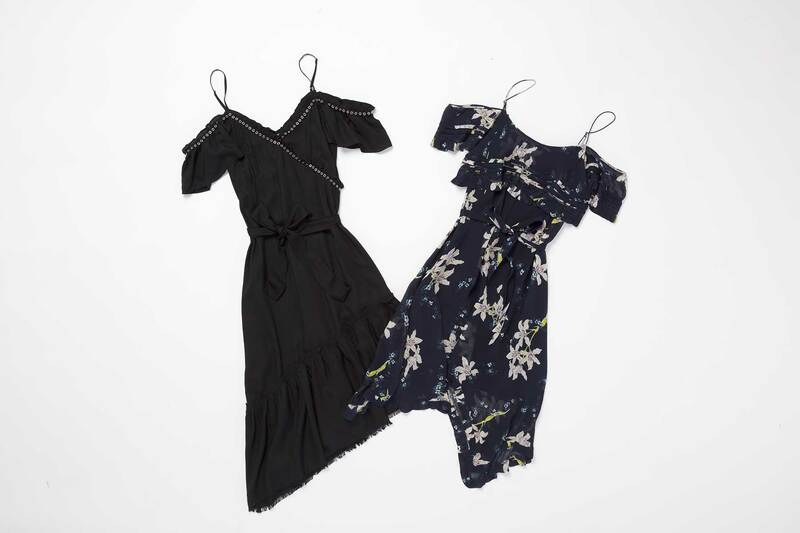 Their non-denim selections run the gamut from flirty dresses and sheer blouses to silky tees and leather jackets. The apparel embodies a feminine confidence with unexpected angles, sleek silhouettes, and grounded earth tones. If you aim to embody California-cool style, it’s definitely worth exploring.